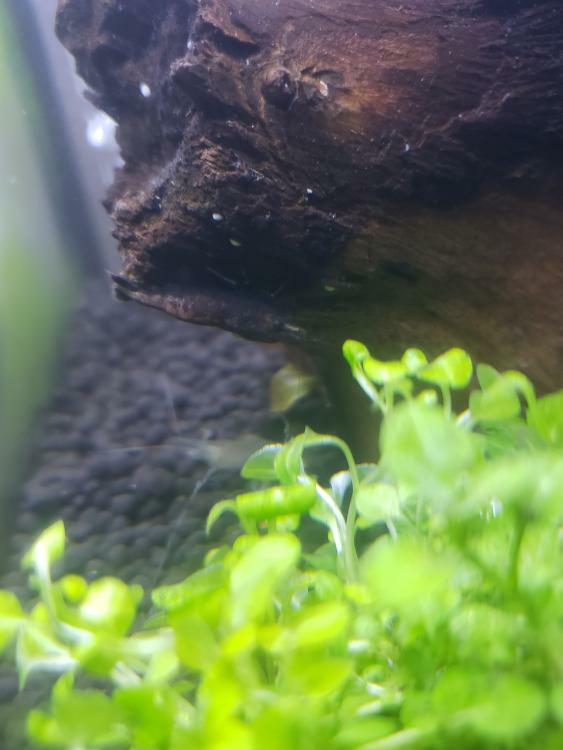 I purchased 2 shrimp from Petco (shown in pictures). They were labeled as Assorted Rainbow Shrimp and I have no idea what they are and neither did anyone at the store. Can anyone help identify these? 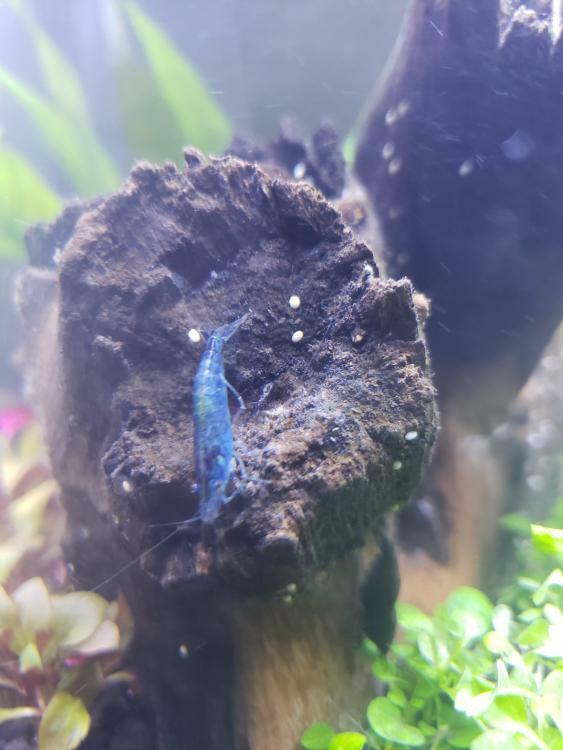 Looks like a Blue Dream and a Ghost Shrimp to me. If you can, separate them. Ghost Shrimp are savage and will kill and eat most Dwarf Shrimp. Thanks a ton for the reply. I know the ghost shrimp. But what about the brown one? Haha, I didn't even see him there, just sorta blended right in! Actually looks like a she. Choko or Chocolate IMHO.